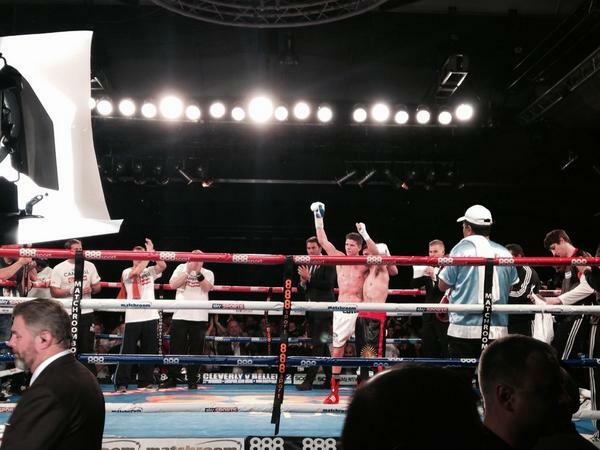 Hull lightweight prospects Tommy Coyle and Luke Campbell stormed through their biggest in-ring tests yet - as they both dismantled their respective opponents to set up a summer showdown at the KC Stadium next year in Hull. In an explosive night of Boxing, the talented Tommy Coyle faced a stern test in Michael Katsidis which was a fight that expected to go longer than it eventually went, but certainly not the distance with fighters like Coyle and Katsidis in there. The visitor was stalking the champion, trying to land power punches early on but Coyle stuck to his game plan and boxed his way through the opening round. A war was upon us all, and everyone predicted a blooded war between the two. However, it didn't pan out the way many thought it would. In the second round, Coyle caught Katsidis with a crunching left hook that shattered the temple of the Australian warrior, sending him crashing to the canvas. He made it up, but the eyes and legs were all over the place, and the referee stopped the contest. No fan in that arena was seated when it was waved off. Simply phenomenal scenes. Campbell on the other hand, demonstrated his magnificent skills and potential through the opening rounds against a durable, and tough Argentinian fighter in Daniel Brizuela who knows something about fighting in Hull. The 28-year old entered enemy territory earlier this year when he stepped into the ring with Tommy Coyle in an epic fight which included six knockdowns and two point deductions. Campbell partially broke Brizuela down where he landed ferocious shots to a vibrant Hull crowd in support of "Coolhand". The visitor looked extremely uncomfortable in the ring with Campbell and it showed when he puffed his cheeks in frustration when heading back to the stool. However, that was soon about to change, but not in his favour. The Olympic gold medallist floored Brizuela after landing a barrage of punches to both the body and head. The Argentine swiftly broke the count and got up on his feet, but the legs were compel;telly gone and it only took another vicious onslaught from Campbell for the referee to jump in and stop the fight. Promoter Eddie Hearn was quick to mention a summer showdown between two of Britain's best lightweights. He confirmed that both men will be in action again early next year, but insisted the boxing fans should mark May 30th in their calender because that could potentially be the date for Coyle and Campbell's clash. Hearn also added: "Hull really embraces these two, it was a sell-out and if they keep winning we'll be here in a massive fight next summer." Campbell: "We're sat here after two great wins and we got cheered to the rafters by those brilliant fans. Everyone is behind us in the city." 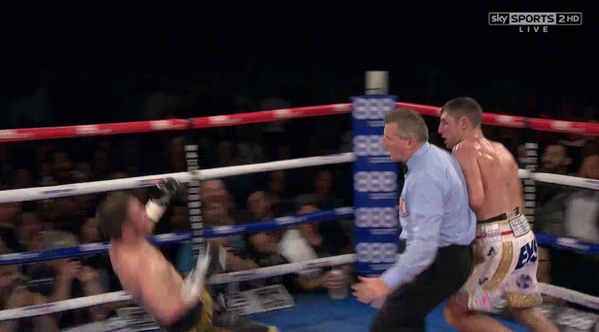 Coyle: "I am the most confident man in the world but I take a lot of confidence form that because I stuck to the plan. I saw his (Katsidis) shot coming and worked on what Jamie Moore told me to do. Words can't describe how I'm feeling right now. Michael Katsidis, you're still a legend in my eyes and it was a pleasure sharing the ring with you." 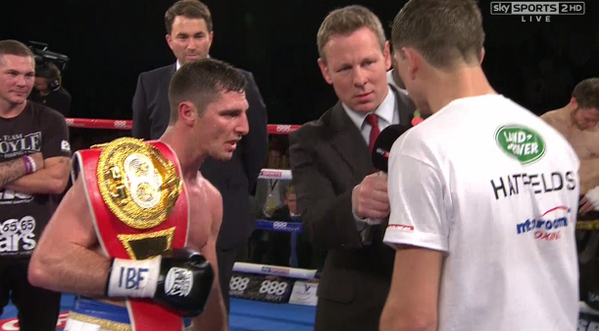 Campbell: "We have the utmost respect, we're mates but we're here for the fans and they want this fight and so do we. Tommy and I have created this in Hull, and we have a chance to put on a massive bill."